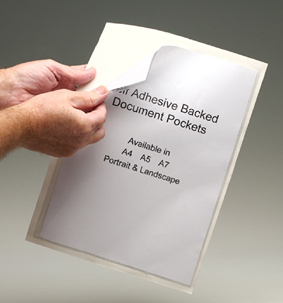 Tags: adhesive pockets, self adhesive document pockets, self-adhesive documnet holders, adhesive backed holders. Clear front allows barcodes to be scanned. A4, A5 and A7 size document protection pockets for keeping information in the office, factory and warehouse environments These clear pockets protect documents from dirt and grime. 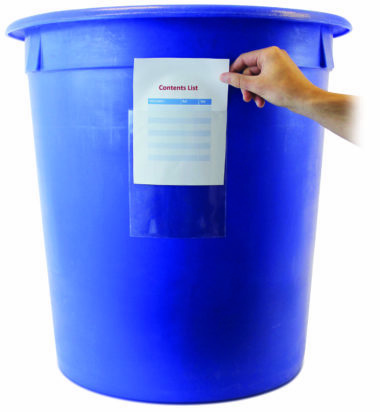 Simply peel off the adhesive backing sheet and adhere to a flat surface.